Vashmalle From Thugs Of Hindostan: Aamir Khan & Amitabh Bachchan Show Us What We've Missed For Years! 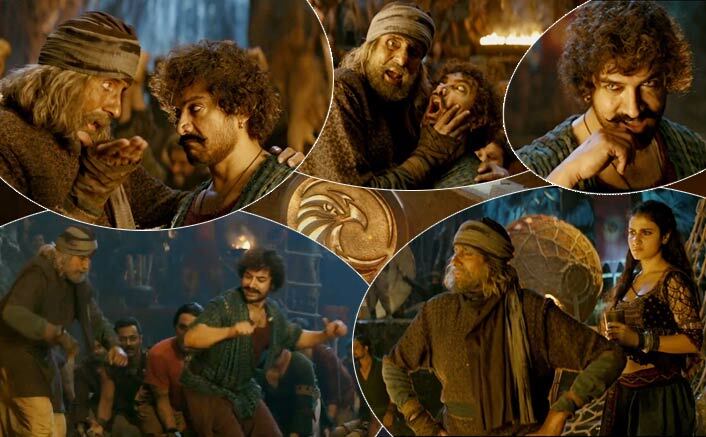 Home » Videos » Vashmalle From Thugs Of Hindostan: Aamir Khan & Amitabh Bachchan Show Us What We’ve Missed For Years! Vashmalle too will stand out because Amitabh Bachchan and Aamir Khan are seen dancing their heart out in the film. Ace choreographer Prabhudheva directs a fun dance number titled Vashmalle that will see the two legends Amitabh Bachchan & Aamir Khan dance their heart out after getting drunk! Yash Raj Films’ mega action adventure Thugs of Hindostan has stunned audiences worldwide with it’s larger than life, extravagant trailer that has made it the biggest film to come out of Bollywood in years. This visual spectacle about an epic war and adventure on the high seas, is releasing this Diwali. The film has managed an incredible casting coup of this generation by bringing together two of the biggest icons of Hindi cinema Amitabh Bachchan and Aamir Khan for the first time on big screen and to make this even more interesting, looks like the two have also danced together in the film! Box Office: After AndhaDhun, Ayushmann Khurrana To Bring In Another Hit With Badhaai Ho!